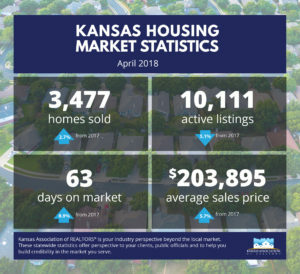 Home sales in Kansas are up 2.9% compared to the same period last year. National sales fell by 1.4% over 2017. An increase in home prices across Kansas follows the trend in our region and nation. The statewide average sale price in April was $203,895 a 5.7% increase over last year. Prices in the Midwest rose 4.6% and in the US prices rose 5.3%. Mortgage rates continue to climb steadily. The national average commitment rate on 30-year conventional mortgage for the week ending May 24, 2018 was 4.66. View Freddie Mac’s report. To view March stats, click here. 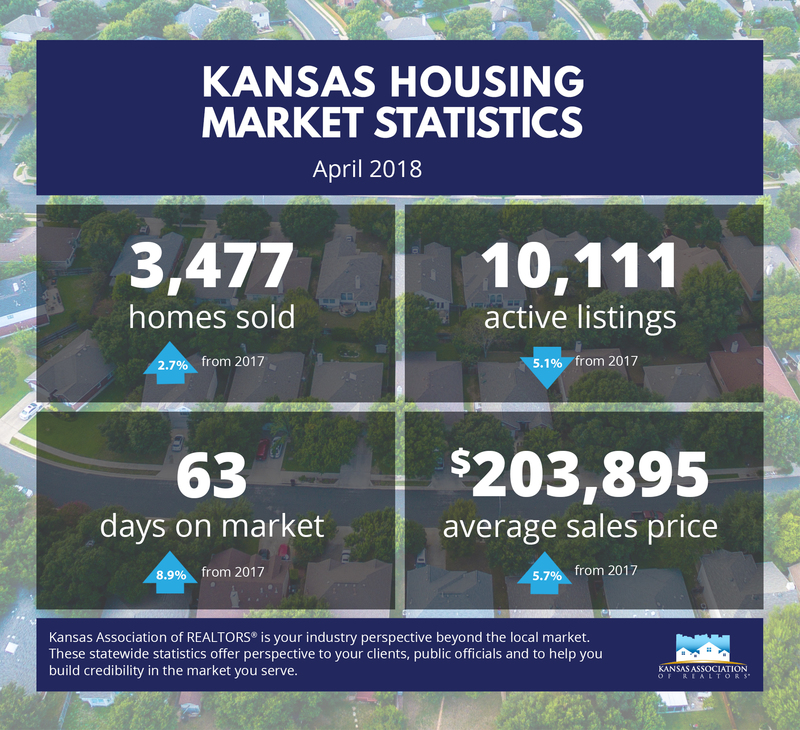 The Kansas Association of REALTORS® (KAR) provides members with market data to better serve clients and ensure they make decisions based on the most accurate information in the marketplace.